Craving for Filipino food in the United Arab Emirates? 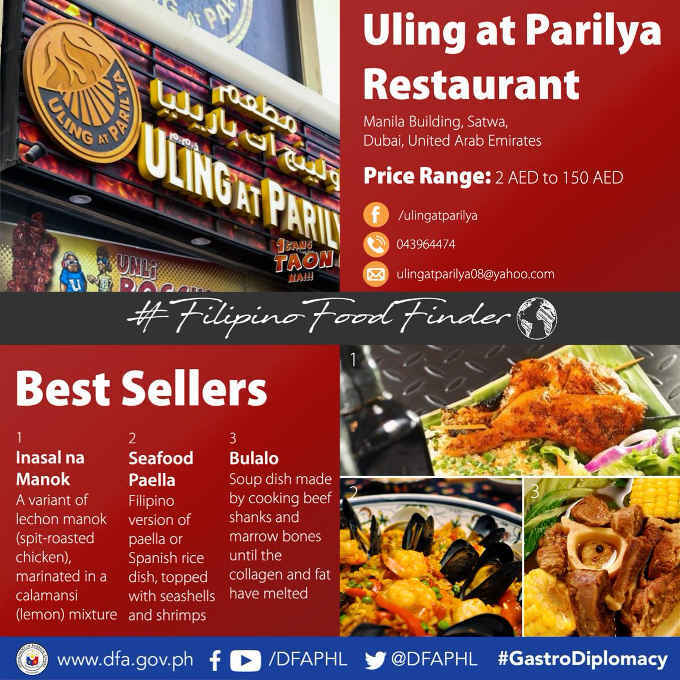 Try Inasal na Manok, Seafood Paella, and Bulalo at Uling at Parilya Restaurant in Dubai. Food prices ranges from 2 dirham to 150 dirham. If you want to taste these foods while in Dubai, The restaurant is located at Manila building, Satwa, Dubai, United Arab Emirates.